Just a heads up for the locals. I went to InkWorld (opposite Thai Inter Hospital) today to buy some cartridges for my printer. 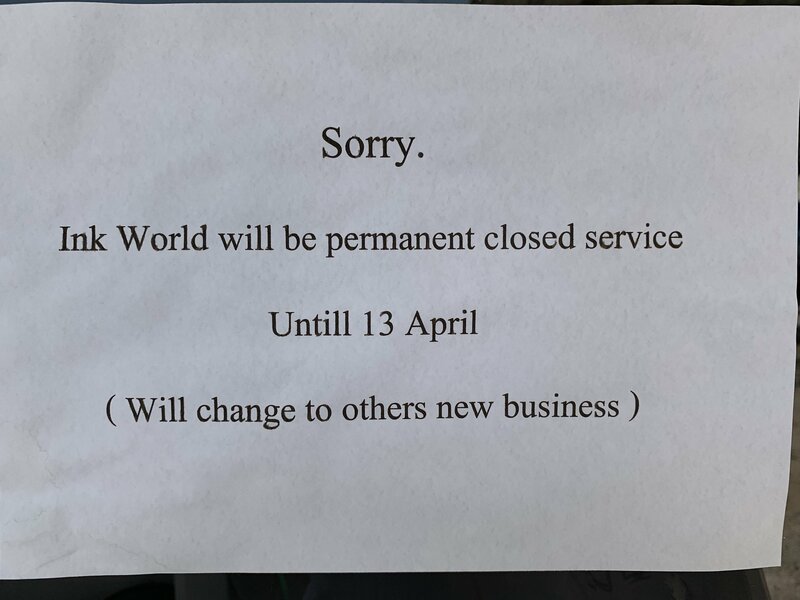 They have a sign in the window that they will be closing the business from the 13th April. From what I could understand from the lady, it is the ink consumables side of the business. Not sure about the repairs and Fiber installation side. Thank you for that... and I just bought a new printer from them as they are/were so reliable. Where to buy ink now??? They are still open until 13th April, so you could buy some there in advance. Directly from the source. Aliexpress. Cheap as chips, delivery time around 3 weeks. They have a sign in the window that th﻿ey will be closing the business from the 13th April﻿﻿. Edit: Power Buy in Chaweng's Central Festival has a wide variety of printer ink. No. The lady even gave me a ticket with places and phone numbers (see post #3) where one can buy ink in the future. Just a heads up for the locals. I went to InkWorld (opposite Thai Inter Hospital) today to buy some cartridges for my printer. They have a sign in the window that they will be closing the business from the 13th April. From what I could understand from the lady, it is the ink consumables side of the business. Not sure about the repairs and Fiber installation side. 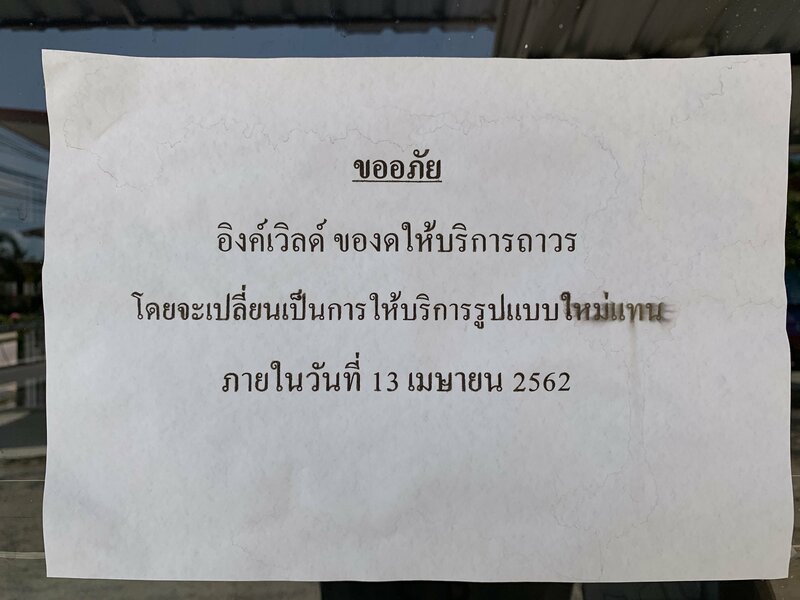 Here is a photo of the sign in the window, In both Thai and English. Maybe the one in Thai explains more clearly than the English one. To confirm, I asked the lady if they will reopen after Songkran. She said "No". Let's see what happens. It could mean anything. My son just took a look (at my screen) & after a bit of prompting he thinks they'll open again after Songkran. Re Ink by mail order; Lazada can be hit and miss. A brace of cartridges from a Bkk outlet ordered CoD last week failed to materialize yet a pair ordered on Monday from a different bkk outlet arrived yesterday!